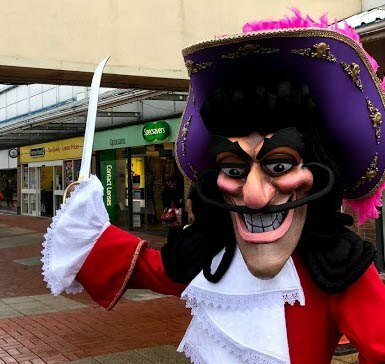 Ladysmith Shopping Centre joins the fun for the Ashton Scarefest event on October 27th. The town will be hosting a 'Scare Tunnel', classic car show and entertainment on the market ground. here at Ladysmith we welcome two classic villains with an appearance from Captain Hook and The Wicked Witch from Snow White. At 1pm join our Halloween Parade starting outside Home Bargains!